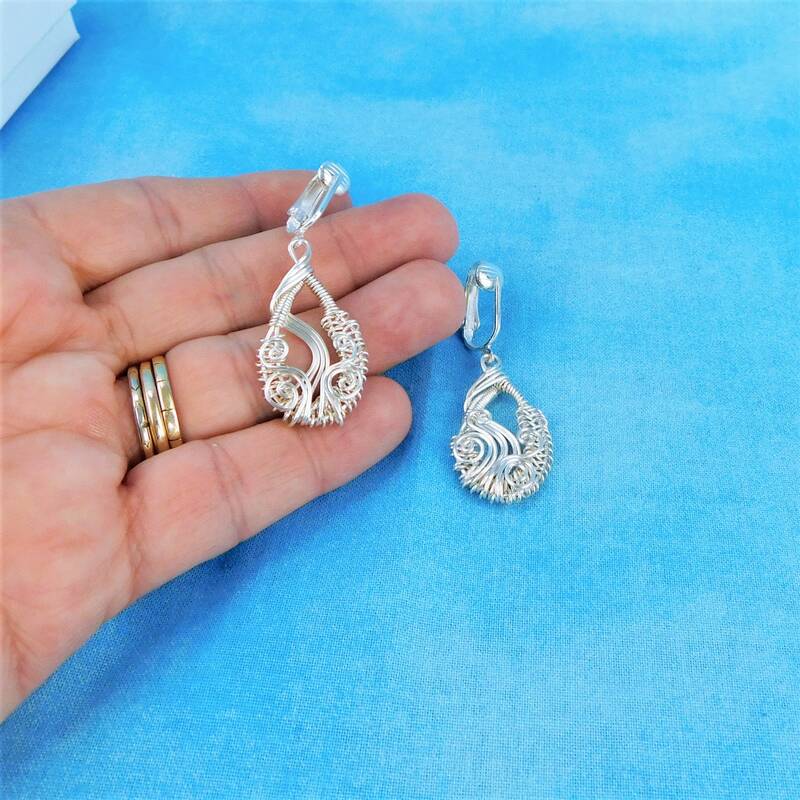 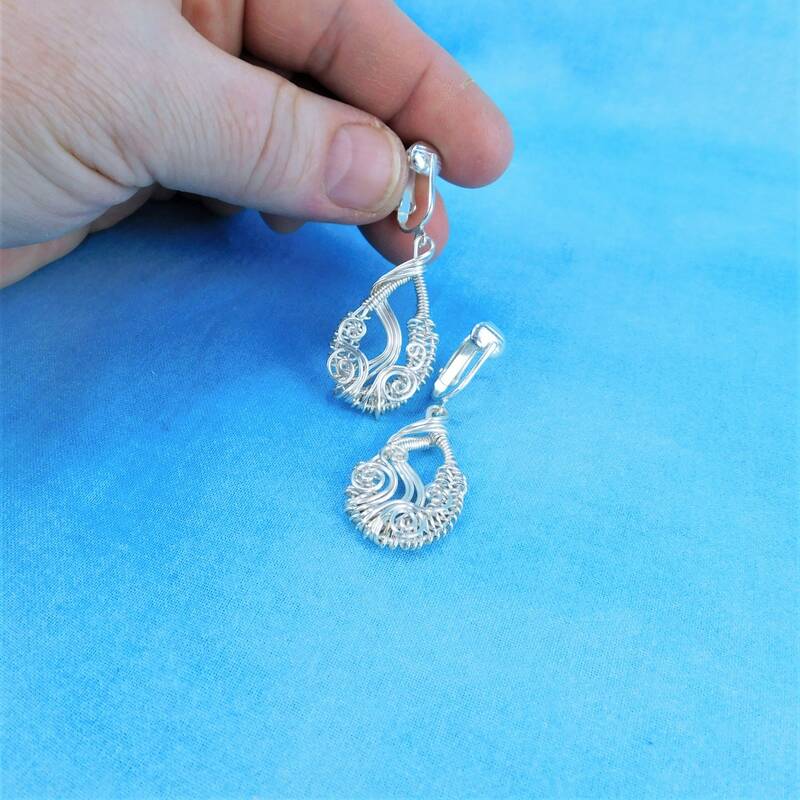 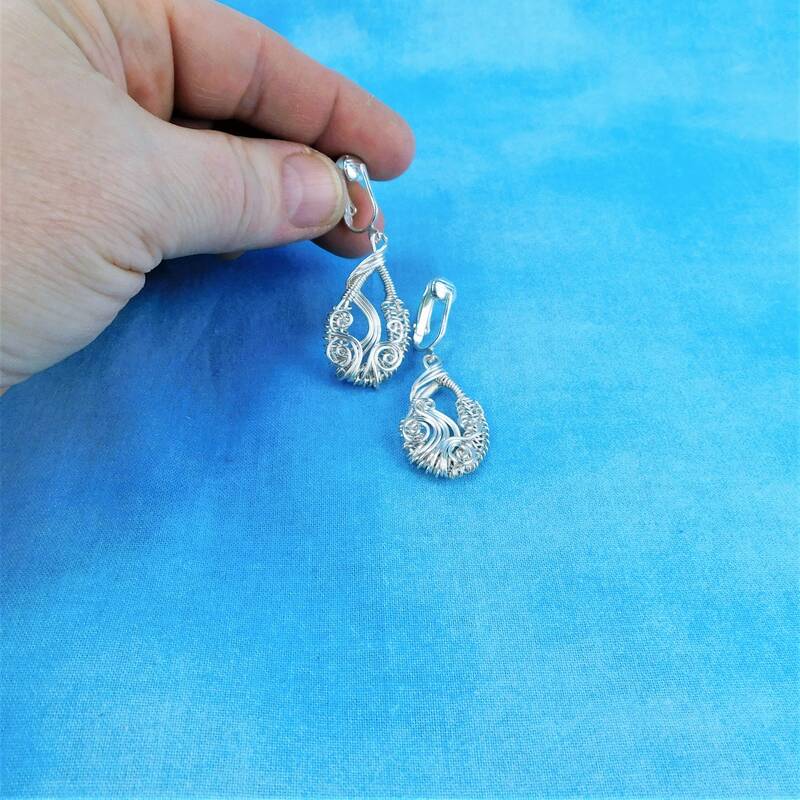 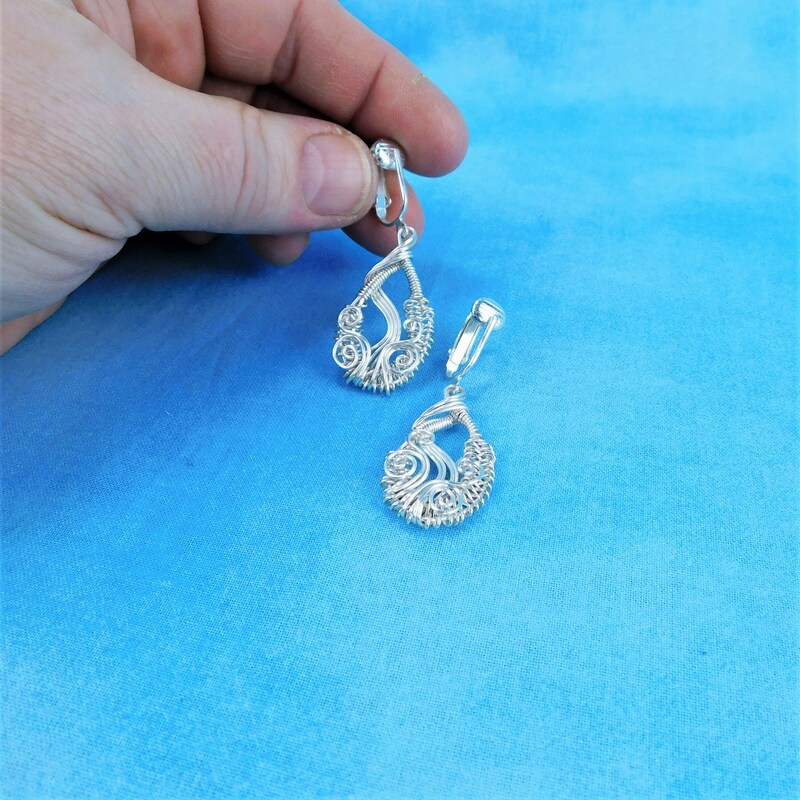 Non tarnish fine silver over copper wire is artistically hand woven and sculpted into loops, and suspended from silver plated pierced look clip on ear clips. 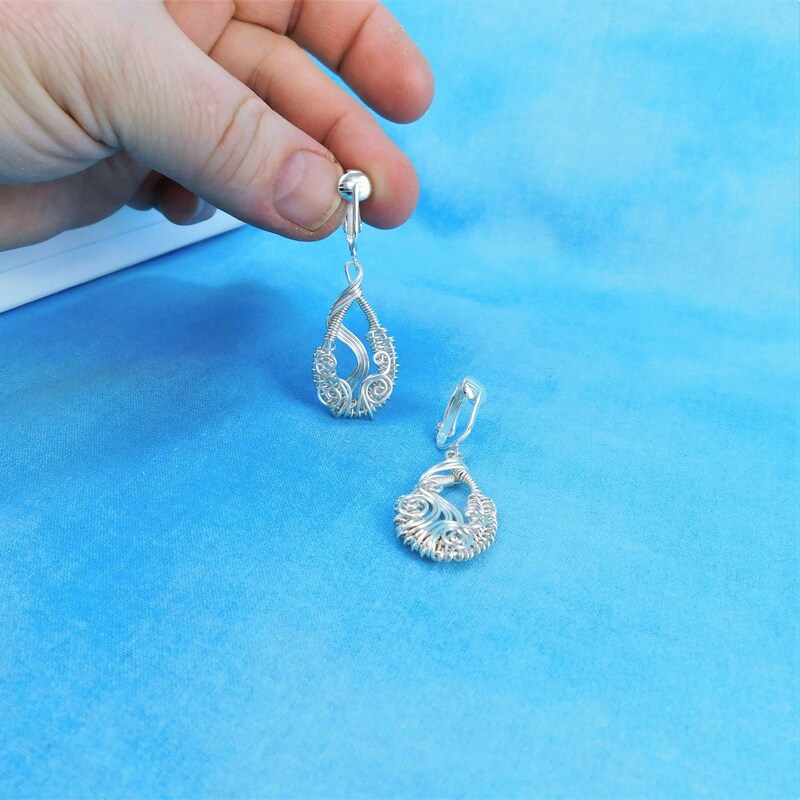 The loops measure 1 inches by 3/4 inch and are light weight and elegant. 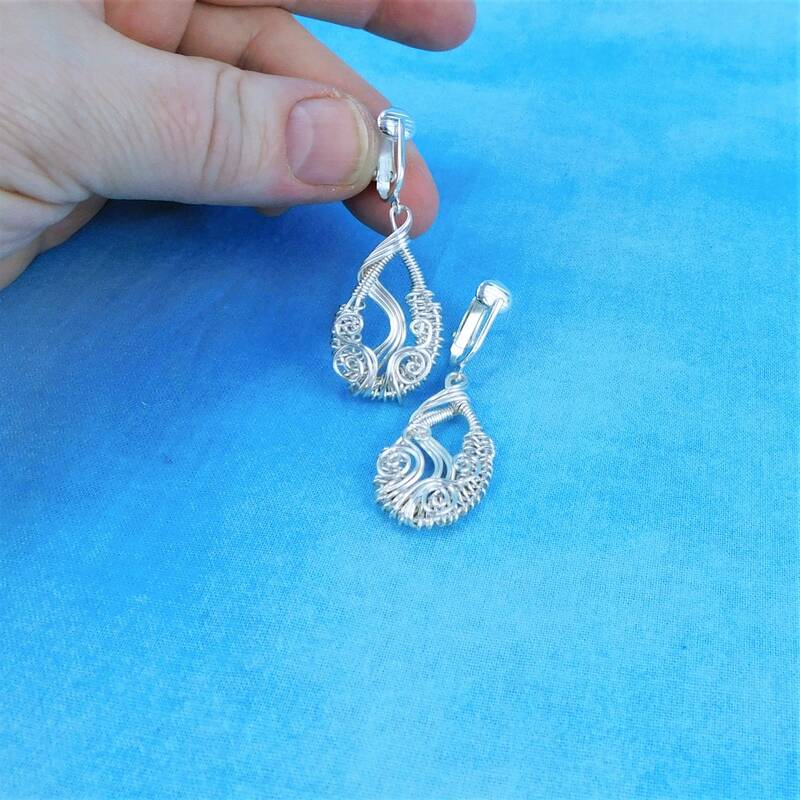 The ear clips are comfortable, secure, and attractive. 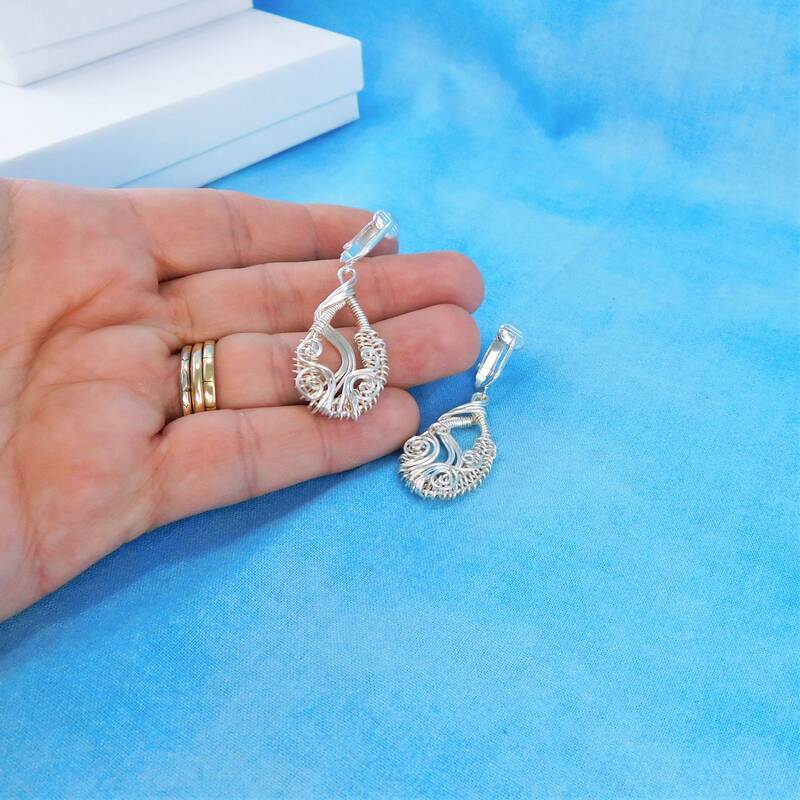 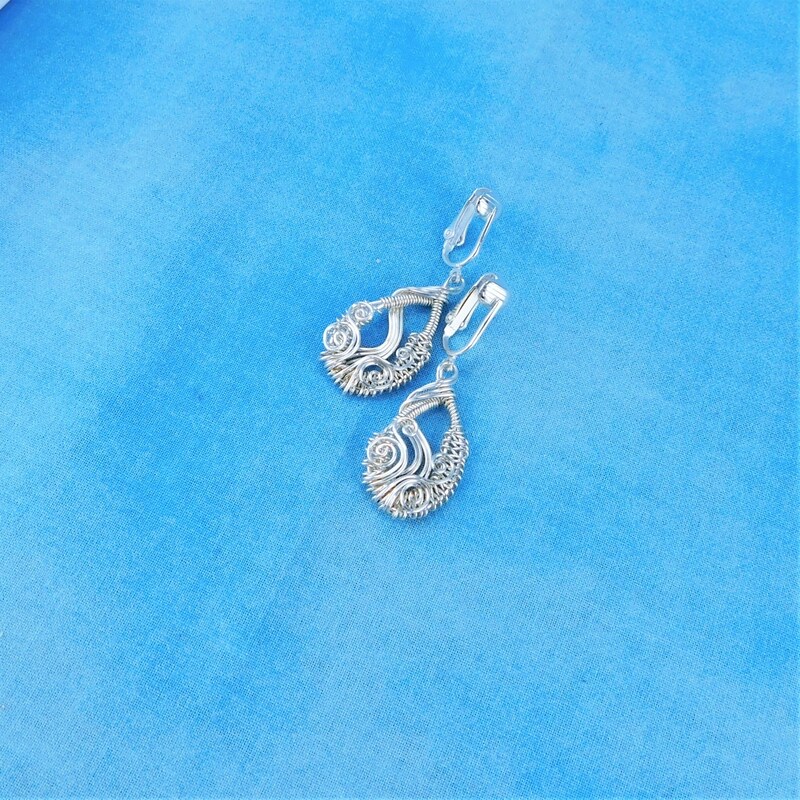 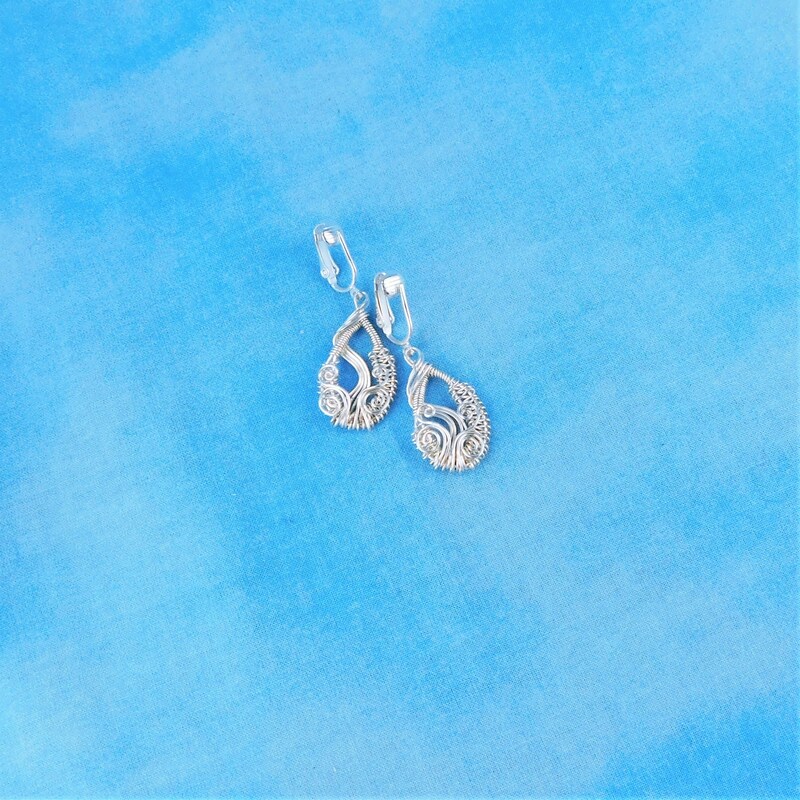 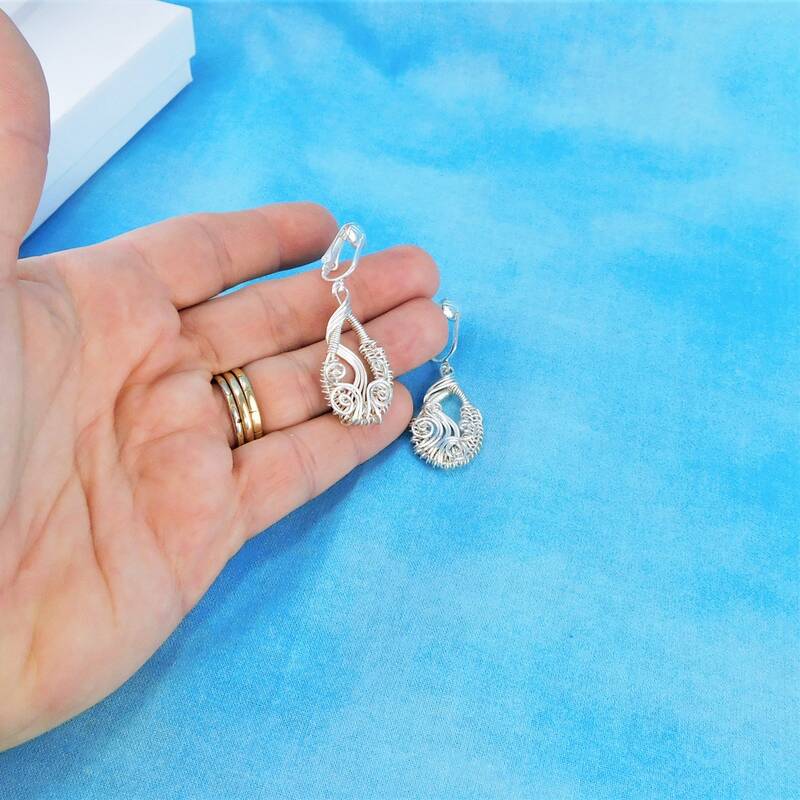 These elegant earrings garner the right kind of attention and will become favorites for years to come.